Exposed wintergreen belies the notion. Hemlock witness above the deep current. Mountain laurel vaunts a remnant of past festivities. Evergreen and scarlet cloak a small hillock in late autumn. Still shining evergreen in a leafless forest. 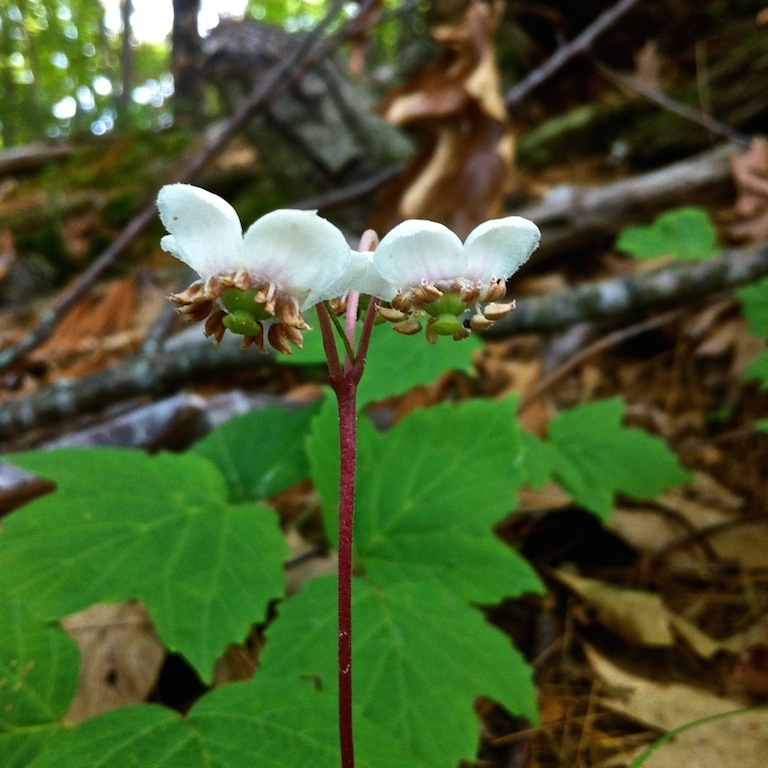 Striped wintergreen lofts its seed capsules above the forest floor. A tiny declaration from the forest floor.